buy at the event, courtesy of Blackwell’s. 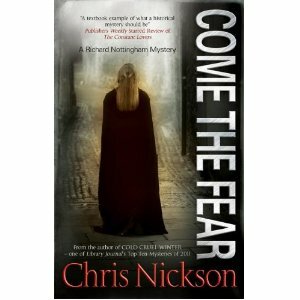 Come the Fear is the fourth book in Nickson’s critically acclaimed series set in Leeds in the 1730s and featuring Richard Nottingham, Constable of the City of Leeds. All three previous novels have been given starred reviews by esteemed magazine Publishers Weekly, and the second, Cold Cruel Winter, was named one of the 10 Best Mysteries of 2011 by Library Journal. The setting for the launch is especially apt as Holy Trinity Church (a Grade 1 listed building) was built in 1727 and features in The Broken Token, the first novel in the series. In addition to readings from the novel, there will be Leeds related storytelling from Shonaleigh and Simon Heywood, two of England’s most lauded professional tellers. Last year Shonaleigh (The Fool of the Warsaw Ghetto, Tower of Bagel, Lost in Translation) was Consort to the Storytelling Laureate and tours regularly across Britain and Europe. Simon Heywood (Darkest England) is also a well-known, folklorist, musician and songwriter. The duo will also be performing a pair of folk ballads from the period, and there will be other musical guests to add into the mix of the evening. Leeds Book Club and Leeds Libraries, supporters of the series of books, will both have tables, encouraging people to sign up. Everyone is welcome for a time that will be anything but staid. It’s a book launch that’s also a celebration of Leeds and its enviable history, a party for three centuries. Come on down and Come the Fear. Chris Nickson is a novelist, music journalist and broadcaster. He was born and raised in Leeds, then spent 30 years in the US before returning to England. He’s the author of over 30 non-fiction books and four novels. In addition to the Richard Nottingham series he’s the author of Emerald City, set in the Seattle music scene, which will be published in 2013. 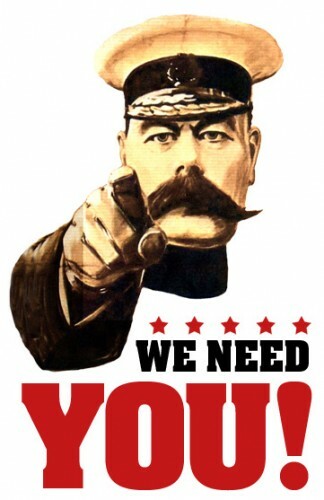 He can be contacted at chrisnickson2@gmail.com. Arts@Trinity regularly hosts a range of arts events from concerts to exhibitions. It has a strong community ethos, offering a space for young, new and aspiring artists, musicians and actors to perform, community groups to meet and run workshops particularly for the young and disadvantaged, and for worship. LeedsBookClub would like to officially invite everyone that I’ve ever met – particularly book clubbers – down on the 14th of September! Myself and @Gazpachodragon have had an idea about mobile-book-clubbing that this will be the perfect time to test – so come along and see the insanity in action!